The Marvel Cinematic Universe (MCU) brought in 2017 another action-, superhero-filled and comic-inspired movie to the big screen and it starred one of the most famous superheroes of all time, Spiderman. I watched this film a few weeks ago and I really enjoyed it. The second reboot of the Spiderman film (“Spiderman” trilogy and “The Amazing Spiderman”) follows the events of “Captain America: Civil War”(2016): After the events in Germany, where both Captain America and Iron Man and their teams fought against each other, Peter Parker, who was in Iron Man’s team and was drafted into the Avengers by Tony Stark to help with an internal ship, returns in his hometown Queens,New York to resume his studies at Midtown School of Science and Technology, when Stark tells him he is not ready to be a full Avenger. The most part of the movie is based on him trying to balance his life between being a regular student and Spiderman while trying to defeat his enemy, Vulture. What I liked the most about this movie is the fact that the protagonist, who is 15 years old, is played by a younger actor. Tom Holland, who plays the superhero, made an incredible job by portraying Peter Parker and his goofy behviour and was highly praised by movie critics. Also, in scenes where he had to be more serious or sad, for instance: the scene where Peter lost his internship at Stark Industries and told his aunt about, had a big impact on me. His acting skills gave the impression that this is a movie about a teenager’s life. Throughout the film we were met by other characters, some already known and some new: Michelle “MJ” Jones (played by Zendaya), Ned Leeds (played by Jacob Batalon), Liz Toomes, Peter’s love interest (played by Laura Harrier), Flash Thompson (played by Tony Revolori), Happy Hogan (played by Jon Favreau) and Tony Stark/Iron Man (played by Robert Downey Jr.). Cameos were made by Stan Lee, Pepper Potts (played by Gwyneth Paltrow) and Steve Rogers/Captain America (played by Chris Evans), which is something that made me happy to see. The comic scenes, for instance, when Ned found out about Peter being Spiderman or when Peter interrogates Davis to find out about Toomes’ plans or when Ned blurting out to his classmates during P.E. class about Peter knowing Spiderman or Peter’s vlog while he was in Germany are other main reasons why I enjoyed watching this movie. They gave the light side of film and did not make it seem all dark and serious like others, but they had moments like this in the scene where Spiderman had to save the boat from splitting in half or his battle with Vulture, which made me feel as if I were actually present at those moments. Peter’s mentor-student relationship with Tony can also be seen throghout the film and shows how deeply Tony cares about Peter, even if Peter thinks he doesn’t and this can be seen in the scene where he doesn’t succeed in saving the people on the boat, but it’s actually Iron Man that does it and he takes the suit away from Peter not to be hurt. He thought that Tony didn’t listen to him when he told him about Vulture’s plans, but Tony actually did and after Peter defeated Vulture, Tony gave him his suit back and offered him a place on the Avengers team, but Peter refused as he realized he just wanted to be a “friendly neighbourhood Spiderman”. 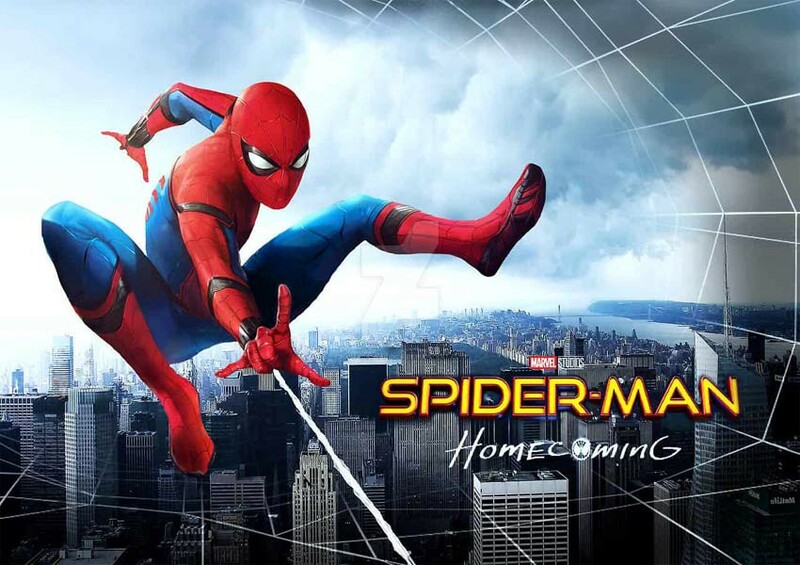 In conclusion, I recommend to all Spiderman fans and comic book readers to watch this movie as it is filled with many great things and characters played by talented actors and I am looking forward to seeing its sequel “Spider-Man: Far From Home” which will come out on 5th July 2019.